RoboSense, a leader in LiDAR perception technology solutions and CES 2019 Innovation Award Honoree, announced today that it has provided cold-resistant all-weather LiDAR for the world’s first autonomous driving shuttle bus for all weather conditions - GACHA. GACHA is equipped with RoboSense’s advanced cold-resistant 16-beam mechanical LiDAR environment perception system to operate vehicles in harsh winter and other severe weather conditions. The autonomous shuttle bus robo-taxi GACHA was designed in collaboration with Finnish autonomous driving company Sensible 4, who provided superior software for positioning, navigation, and obstacle detection; Japanese companyMUJI, who provided excellent expertise in design and user experience; and Chinese company RoboSense, who provided advanced cold resistant LiDAR. Environment perception is a huge task facing autonomous vehicle providers who require operation in all-weather conditions. Under extreme weather conditions, the performance of critical sensors, such as LiDARs and cameras, are severely impacted. Low temperatures, such as those in Finland, where winter temperatures can reach as low as -30°C (-22°F), can incapacitate the performance of semiconductor components, while snow and ice covered roads essentially cripple the image algorithms’ ability to determine abstract environment information. In addition, on an extremely cold day, the motor of a multi-layered LiDAR might not even start-up, as well as causing detection accuracy and ranging performance to be diminished. Under these circumstances, RoboSense’s new cold-resistant LiDAR is essential. RoboSense’s cold-resistant LiDAR “sees” a 3D world through emitting and receiving lasers pulses, with point cloud algorithms that accurately recognize obstacles, even in snow and ice. Therefore, LiDAR is the most important sensor when it comes to bringing autonomous driving technology to extremely cold environments. “When it comes to the GACHA project, engineers from both sides, through close and efficient cooperation, made it possible to let the whole LiDAR system operate steadily in the bitterly code weather in Finland,” said Mark Qiu, COO, RoboSense. RoboSense will be joining Sensible 4 on their first GACHA bus fleet deployment in April for use on public roads, as well as future projects in various cities in Finland and abroad. 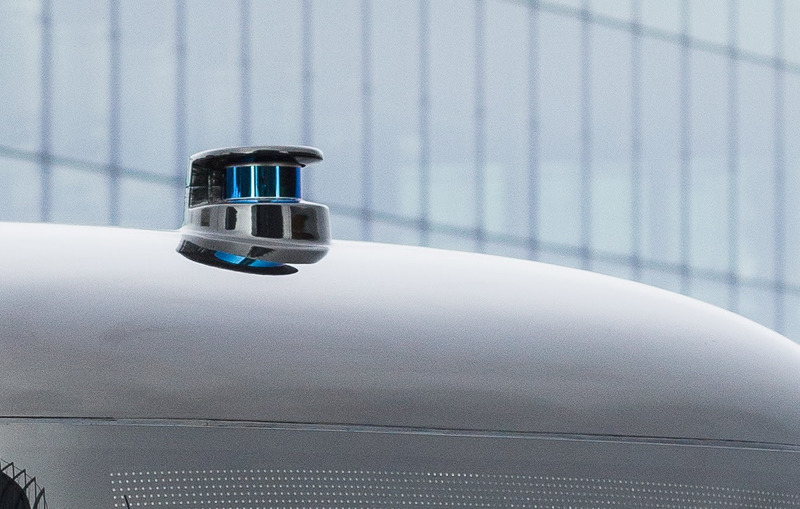 “I’m pleased that our product has helped Sensible 4 and MUJI’s jointly designed GACHA self-driving shuttle bus solve perception problems in all weather conditions. In the near future, all RoboSense multi-layer LiDAR products will be able to operate in automotive grade low temperatures under -40℃,” said Mark Qiu, COO, RoboSense. Since its inception, RoboSense has been providing complete hardware and software LiDAR environment perception solutions for the autonomous driving industry, solving the LiDAR perception challenges for autopilot applications in all scenarios by combining the RS-LiDAR hardware and the proprietary RS-LiDAR-Algorithms. RoboSense is committed to making better products with continuous improvements on automotive grade reliability to fulfill customers’ needs in various applications and conditions.